Looking for a swimming club for kids in the vicinity of Stoneridge Mall or Harvest Park school. We are looking for a nanny to look after our baby girl(4 months old) in Dublin(5 days a week). Please contact me if interested. Price is negotiable. Need help with feeding her, putting her to bed, cooking. Looking for a nanny for a 4 month old in Pleasanton. Time and price can be negotiated. If interested, please leave me your number. 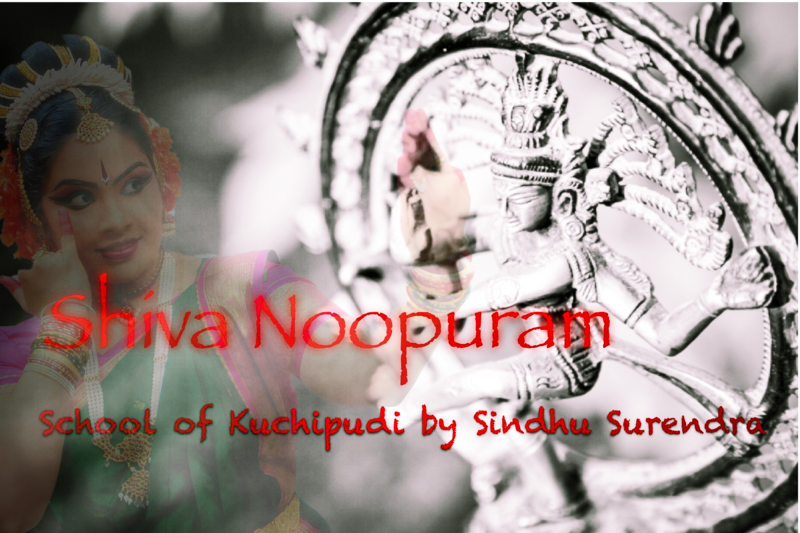 Sindhu Surendra is the Founder and Artistic Director of Shiva Noopuram(School of Kuchipudi) established in Dublin,California in the year 2014, dedicated towards propagating the Indian classical dance form kuchipudi which has more than 2000 years old history and has originated from a small village by the same name, Kuchipudi, in Southern India. The mission of the school is to perform, spread and teach the dance form. Hello,We are looking for driver with good driving history and ca license for pick up/drop off service from Dublin and pleasanton schools to academic plus.Please email your contact details at academicplu…@g…com or You can come directly to academic plus pleasanton(4233-10 Rosewood Dr,Pleasanton, CA 94566). Please contact me at souji…@g…com if interested. Hi All, Home cooked Indian Dinner served in Pleasanton. We cook from Scratch and keep all our Dinner options healthy and tasty. Dinner for 2 Adults – $15.00. If food needs to be delivered extra $2.50. Dinner will be ready between 6.30 to 7.30PM. Call 925 699 5861 and ask for VP. I need a Nanny three days a week up until April. Beginning in April I need the Nanny to work five days a week. Need someone fun who will play with the kids, tell them stories, do activities, and take care of them. I don’t need any housekeeping or cooking done. Just take care of the kids. Need someone English speaking please. I live in Pleasanton. You can take bart to Pleasanton and I will pick you up from bart. Please check distance and costs before you reply back with interest. Pay is $11 total an hour. If you are interested please text me at 9167986208 or email me at praneet2…@Y…com. My name is Praneet. Hi, We are looking for a reliable driver with good referrals to pick up our 10 year old from Walnut Grove Elementary and drop him at Livermore Valley Tennis Club, 2 days a week. Please call @ 925-398-8380 if interested. Please email me at madhulika…@g…com if you know anyone who is very good at baby care, taking care of babies, and providing a nourishing enviroment for the babies. Need homework help / language arts and math tutoring for your kids? Convenient location for both Pleasanton and Dublin residents. Fresh homecooked Indian food available daily. Pickup available in Dublin, CA. Any place desi parents (visiting from india) meet up/walk in evenings? Hello, I live in pleasanton and have parents visiting from India; but they are bored in the evenings. Is there a place desi parents (visiting from India) meet up/walk in evenings? Similar to lake Elizabeth area in Fremont? Preferably closer to pleasanton/dublin (as opposed to Windermere) – that is too far from where I live. Mark June 23 and 24 to be at the Alameda County Fair in Pleasanton – the two days celebrate the Spice of India Festival with a lot of food and culture. 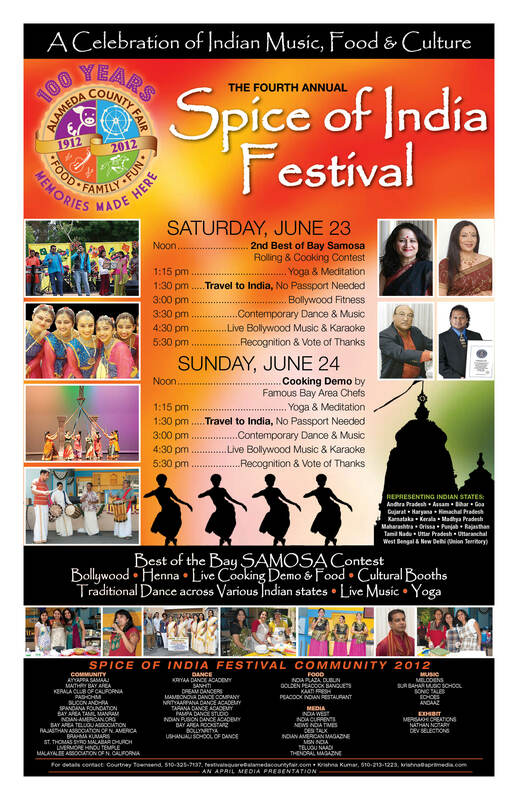 There is live cooking demo and food, cultural booths, Best of the Bay Samosa Contest, and what not. See details below, and in the flyer. The Alameda County Fair is celebrating turning 100. This year’s Centennial celebration includes the return of the downtown Pleasanton Parade, a brand new concert format, and a variety of distinctive memorabilia chronicling its 100 year history. SATURDAY, JUNE 23RD • 12 p.m.
Free garba/dandia lessons available from 6:00-7:00pm on the event day for those who have purchased the tickets. Other SEF Events at Sept 24, Oct 1 and 4 in Santa Clara. 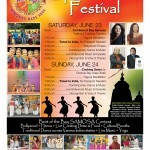 Induz Dandiya 2011 featuring bay area’s most popular Garba/Dandiya DJ Dr. Sharvari Dixit and troupe. Make it an extra special Navratri celebrations for you and your family at the spacious and convenient venue in East Bay. Child care facility, ample parking, food, dandiya sticks etc will be available. lap once, clap twice, clap three times…and you’re almost there! Garba is THAT easy! This TWO HOUR workshop will teach you the basic hand and feet coordination to get YOU on the dance floor this Navratri season! SSF Dandia Nite 2011 in Fremont! 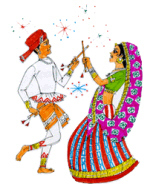 Most kids friendly dandia – Local Center will manage the kids corner with beautiful, craft, fun and brain bending activities, when they are tired from dancing. Biggest in Fremont with electrifying Bollywood music by Dimple Patel.Buy your tickets at sulekha.com or from the other store ticket outlets. 03:00 – 6:00PM – Bollywood Extravaganza! On May 20, 2011, in Pleasanton, kids get to experience a bit India in the form of Henna Tattoos, food, fashion, entertainment in Mohr Elementary School – thanks to the Girls Scouts event Flight International Passport to India – a Gold Award event. Presented by Girls Scouts of Northern California, Crossroads Service Unit, the event is hosted by Nehal Tenany (Troop 31473). Its a great event for kids of all ages! All Activities are FREE! Include food, Henna Tattoos and much more! Time: 6:00 PM – 9:00 PM Come and go anytime! Full of Fun and Learning – Experience the Indian culture, food, fashion, entertainment, religion, and more! There will be a series of booths filled with activities great for the family! Learn how to write in Hindi! Try the various foods! Even get a Henna tattoo! Kids will be issued a “Cultural passport”. This passport will get stamped at different booths. Completed passports will get a small prize. Donations are welcome. All donations will be contributed to a non -profit educational organization in India! No prior registration is necessary. For any questions, please contact: [email protected] Or call 925-600-9940 for details! The Girl Scout Gold Award is the highest award that a Girl Scout 14-18 may earn. Someone once described the Girl Scout Gold Award as being “what you really want to be remembered for” in Girl Scouting. For many, the leadership skills, organizational skills, and sense of community and commitment that come from “going for the Gold” set the foundation for a lifetime of active citizenship. Organized by US Hindi Organization (USHA), the Conversational Hindi camp will provide a creative, fun, and interactive environment and focus on developing conversational Hindi skills. · Lots of activities for the whole day! code: 94588. Camp. Carden West School.